Illinois private investigators are professionals who take care of many intelligence gathering assignments in this middle American state. The detective scene in Illinois is based in Chicago, but secondary legal markets exist in places like Springfield and Peoria, as well as markets in the nearby states, such as Indianapolis, Louisville, Des Moines, Milwaukee and Detroit. It is not uncommon for some Northern Illinois detectives to even travel as far as Canada in search of information which may be necessary to resolve their cases. This investigative article focuses on the detective services sector throughout Illinois. Illinois is a very diverse legal market, since most of the state is rural, yet Chicago offers one of the largest urban legal systems in the country. Many investigators work for insurance carriers and spend most of their time dealing with insurance fraud cases and performing claims adjustment services. Of the remaining detectives, many have former military or police expertise and specialize in varied facets of the investigative arts, such as home security, business investigations or even military record investigations. Illinois, with the exception of Chicago, is currently suffering quite badly under the economic decline. This has caused some investigators to relocate to more prosperous areas or even seek out new types of work altogether. Some PIs have expanded their services to include process service or bodyguard work to make ends meet, while other have simply left in search of better opportunities elsewhere. Chicago investigators are another story altogether, since this market seems to grow constantly. Many detectives in the city are extremely busy year round and some are even looking to expand their businesses, offering rural detectives a chance for a position in a more urban locale. In order to hire a professional investigator who will best serve your needs, it is always recommended to do your own research and be sure that your choice of detective specializes in the type of case work you need performed. Experts in their fields will always be able to provide the best results in the shortest time frame, solving your assignment efficiently and in a cost effective manner. To learn more about the investigation scene throughout Illinois, contact a local P.I. 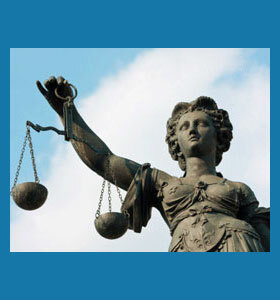 association or contact your attorney for a referral to a quality service provider.